Now that you’ve decided you need a new car, what’s the next step in the car buying process? Determining the auto loan payment that you can afford. Figuring out this payment will allow you to enjoy your new vehicle hassle and headache free. We know that in the excitement of shopping for a new car, it’s often easy to forget about your monthly budget restraints. While it’s okay to have your mind set on a certain automaker and model, it’s important to understand the true cost of how much that car will cost you per month. The team at LendingArch is here to provide guidance and tips on how you can fit your auto loan payment into your budget no matter how big or small it may be. What Costs Should You Factor Into a Car Loan Payment? In addition to the cost of the car, you’ll also have to factor in other monthly expenses including auto insurance, tax, dealership fees, and maintenance costs. Knowing the total cost of all of the expenses related to owning a car before you sign on the dotted line will allow you to make a more informed decision about what you can actually afford. Pro tip: you can find out most of this information by working with a sales associate at the car dealer. Also, be sure to talk to a representative at your car insurance company, too. What is the Optimal Monthly Budget for an Auto Loan Payment? 20% should be used for savings, paying off debt, and meeting long-term financial goals. The maximum auto loan term should be 48 months. Let’s break this down for you: If you have a monthly gross income of $5,000, your auto loan payment shouldn’t exceed $750. With the same monthly income on a 48-month term at 6%, you would be able to finance around $32,000. Factoring in a 20% down payment of $6,500. This would make your total car budget $38,500. Pro-tip: utilizing online car payment calculators can help to assist you in this process. What Are Some Tips to Budget for an Auto Loan? Plan ahead with a budget and start setting aside your monthly payment amount. We mentioned above that typically you want to spend about 15% of your gross monthly income on a car payment. By calculating this out, you can start to set aside this amount of money per month allowing you to start saving now. Additionally when creating your car budget, it’s important to budget for the entire cost of ownership. With owning a car comes regular expenses including gas fill-ups, tire rotation, brake replacements, and more. Typically, the more expensive the car, the more costly the maintenance will be. An extended service plan can help to reduce those costs but you’ll also need to make sure that plan is accounted for in the budgeting process. Understand the relationship between the down payment and monthly payment. The bigger down payment you make, the smaller the monthly payments will be. Additionally, the larger down payment will also mean that you will need to borrow less. If you don’t need a new car right away, you can start saving money monthly to save up for a bigger down payment. When it comes to auto loans, your credit history and credit score are extremely important. The stronger your credit is, the better the chances are that you’ll get approved for an auto loan with favorable terms. Of course, if you have little to no credit, there is no reason to fret. The team at LendingArch makes getting an auto loan as easy as possible. Pay attention to the total car price, not just the base price. It’s very easy look at the base model and price, and be amazed at how little the car of your dreams actually costs . But very rarely will you pay just the base price. For example, did you know that some entry level models don’t have automatic windows or an automatic transmission? You’ll either have to pay more for those options by adding on incentive package or move to the next model up. Both of these options equate to more money that you’ll have to plan for. Think about your wants vs. needs. While those ventilated and heated seats seem like a cool option, are they worth thousands of dollars to you? Do you really need them on your next car or can you wait a few more years? Even before the researching process starts, think about all the features you need vs. want. In doing so, you’ll easily be able to put a price on what options really have the most value to you and which don’t. Pro tip: stick to your budget and don’t budge. You created your budget for a reason: you can afford it. Stay smart and find the best car that fits your needs and lifestyle. You can always buy or lease your dream car in a few years. How Can You Save Money to Afford Your Auto Loan Payment? Even with a planned budget, you may still be nervous about fitting your auto loan payment into your monthly budget. This is normal. Since buying a car is one of the biggest purchases you’ll make in your lifetime, it’s important to make sure you feel comfortable. One of the best ways to do so is looking at your monthly expenses and deciding what you can cut down on or eliminate. While it might take some time and effort to lower some of your recurring monthly payments, the savings are definitely worth it. Switch your cell phone plan. Are you utilizing every GB on your phone plan? Data-wise, can you afford to drop to a lower plan? Do you have insurance on your phone? Do you really need it? Reevaluating your phone plan can help to cost save around $100 per year, per line. Monitor electric and water bills. Did you know that during the warmer months if you keep your A/C at 78 degrees, you can cut down on your monthly bill? Even turning off the lights when you are in a different room can help to save money per month. Refinance existing loans. 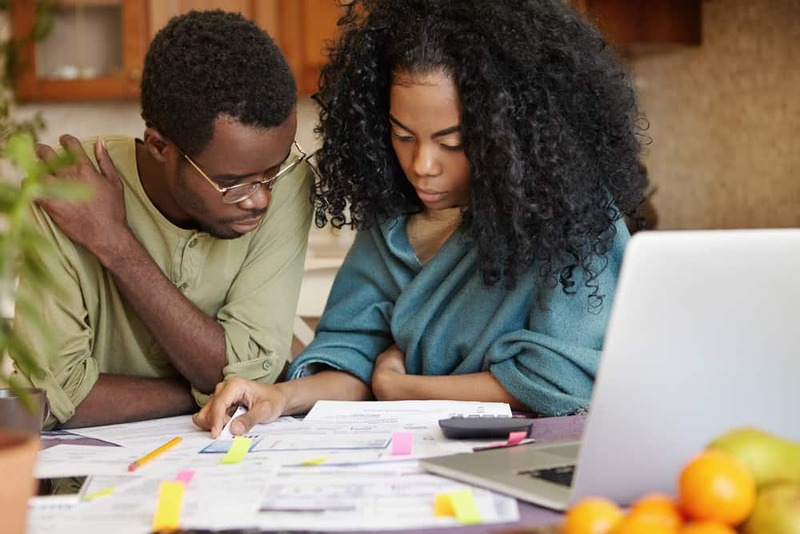 Whether you have a mortgage or student loans, looking at different refinancing options can help get you a lower interest rate. This in turn will help to save you more money monthly and annually. Have friends over. Instead of going out to eat or out to the bar (both of which can destroy your food and entertainment budget in just one night), enjoy a night in with friends.Play board games, drink wine, watch movies – not only will you laugh the night away but it will inevitably be cheaper. Use coupons and flyers. It’s never a bad thing to save, collect, and use coupons. Whether it’s at the grocery store and you use a buy one, get one with food items or you have a 40% off discount at a home goods or retail store, both are great options that will fulfil your needs while saving you money. Buy used when you can. Thrift stores and garage sales can be your best friend. You will not only be able to find high-quality items but you’ll get them for less. Of course, this might eat up some of your time, but it will help you to save some extra money per month. This means you could afford a more expensive car. Who is LendingArch and How Can They Help? We are a trusted one-stop-shop that allows Canadians to make easier and smarter financial decisions. With just a few simple questions and three short steps, you can get matched and approved for an auto loan as quickly as possible. It’s really as simple as that. Are you ready to apply? Contact our team today and we’ll get you started on getting approved for the best auto loan that will fit your needs.